Round Halo Diamond Engagement Ring with Channel-Setting | Shane Co. 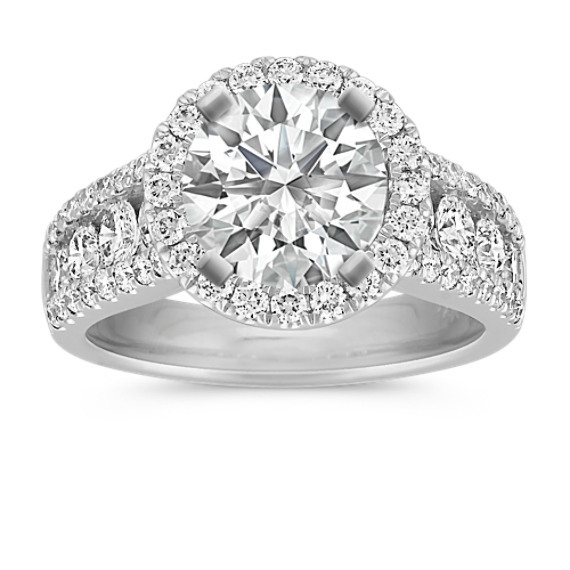 The center row of diamonds in this engagement ring ascend in size to lead the eye to the halo atop the cathedral style. Sixty-eight round diamonds, at approximately 1.34 carats total weight, are crafted in quality 14 karat white gold, each hand-picked for consistent fire and sparkle. This engagement ring is made to hold a center stone at approximately 1.50 carats.